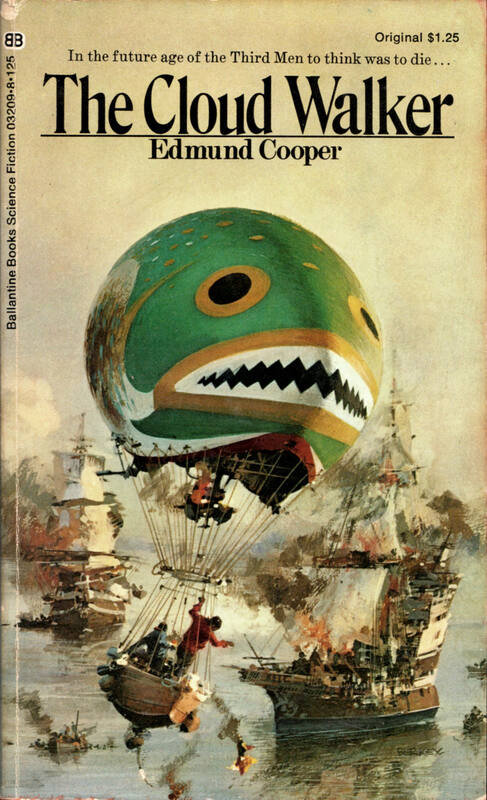 ABOVE: Edmund Cooper, The Cloud Walker (NY: Ballantine, 1973), with wraparound cover art by John Berkey. 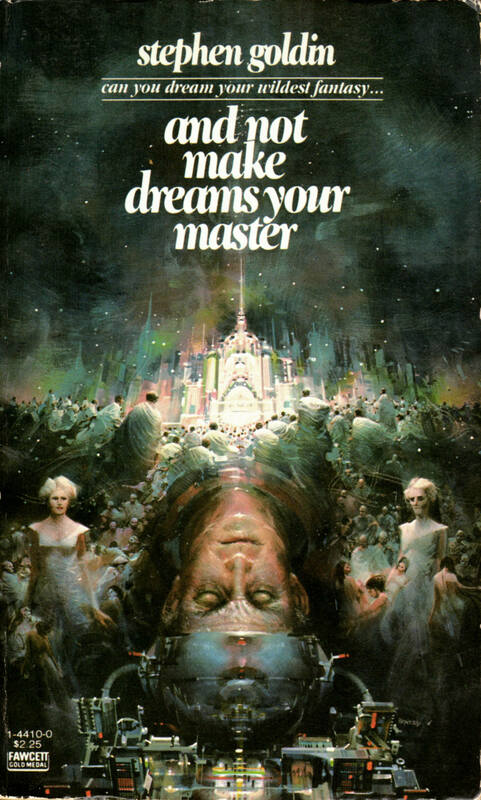 ABOVE: Stephen Goldin, And Not Make Dreams Your Master (NY: Fawcett, 1981), with cover art by John Berkey. 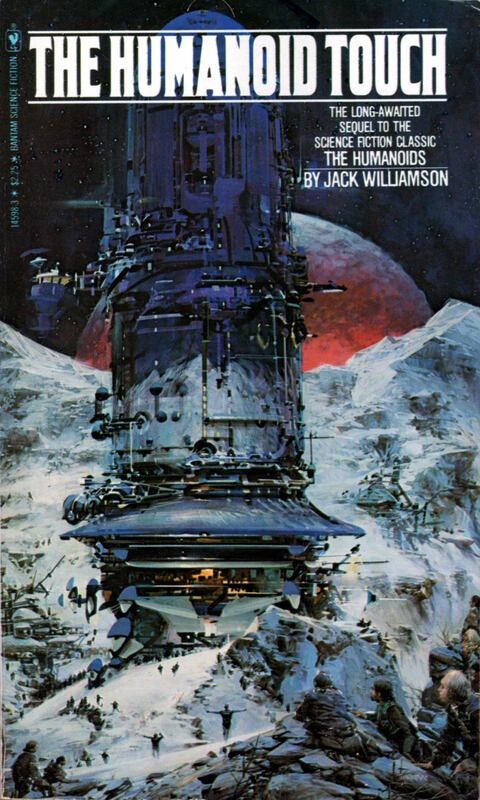 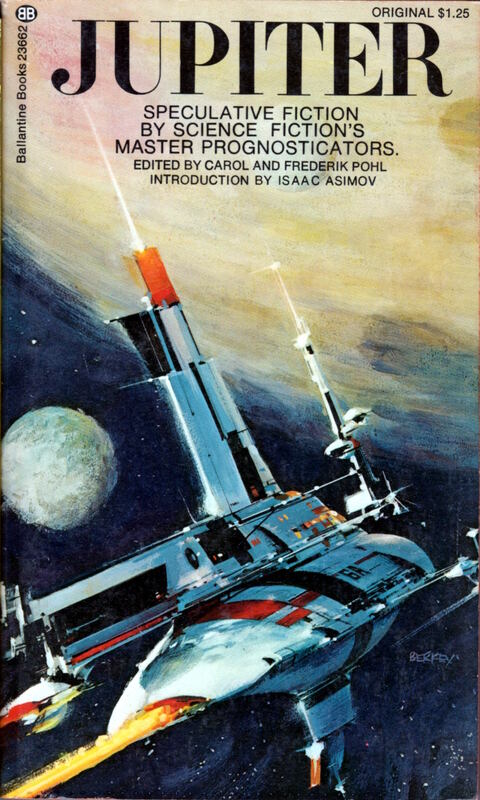 Keywords: Star Science Fiction 4, edited by Frederik Pohl; Jupiter, edited by Carol and Frederik Pohl; The Humanoid Touch by Jack Williamson; Rendezvous by D. Alexander Smith; John Berkey. 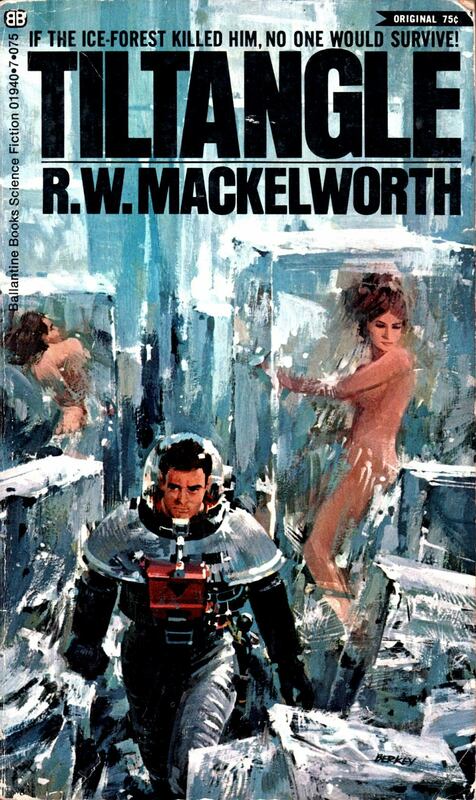 ABOVE: Frederik Pohl, Drunkard’s Walk (NY: Ballantine, 1973), with cover art by John Berkey. 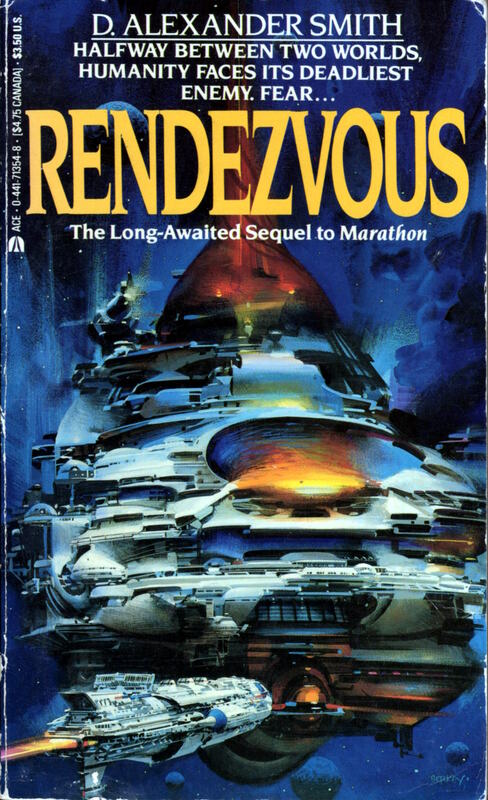 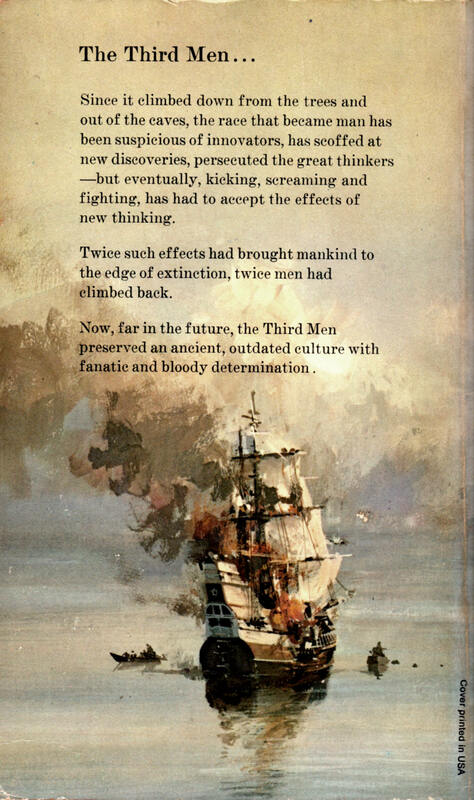 Fourth thing I noticed about Dunkard’s Walk, right after the author’s name, the title, and Berkey’s artwork, was the quotation at the top of the cover: “‘Easily Pohl’s most satisfactory effort.’ — N.Y. Herald Tribune.” Ouch! 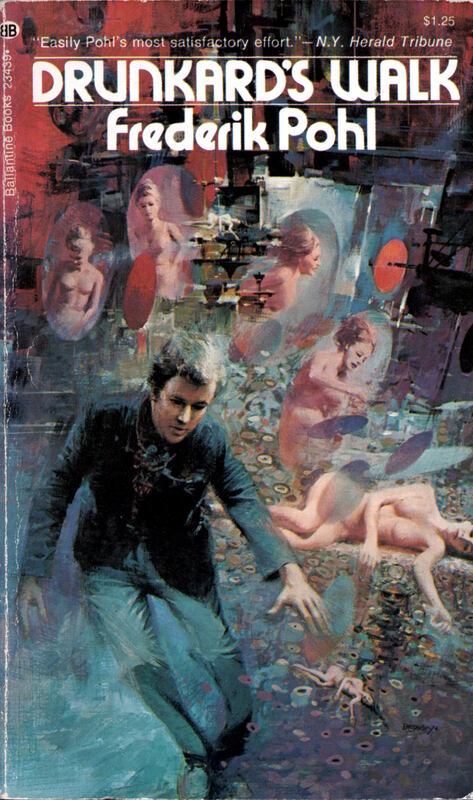 Was that really the best notice that Drunkard’s Walk had received between its original publication in 1960 and the 1973 reprint you see above? 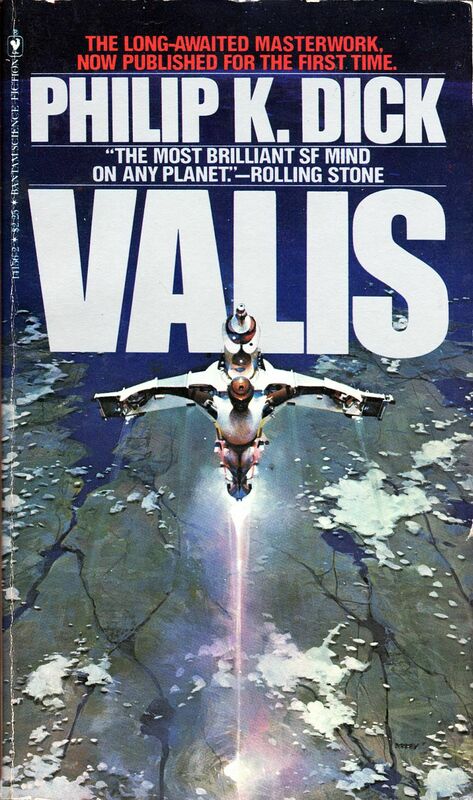 And did that lukewarm “cover quote” ever entice anyone to buy the book? 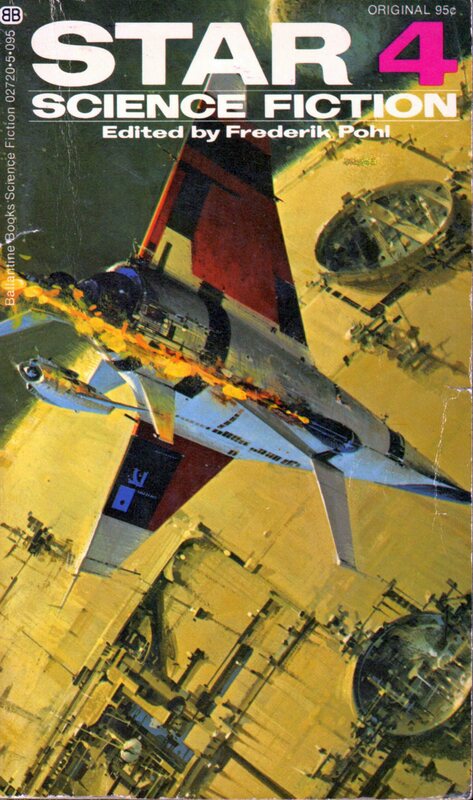 Keywords: Drunkard’s Walk by Frederik Pohl, John Berkey.